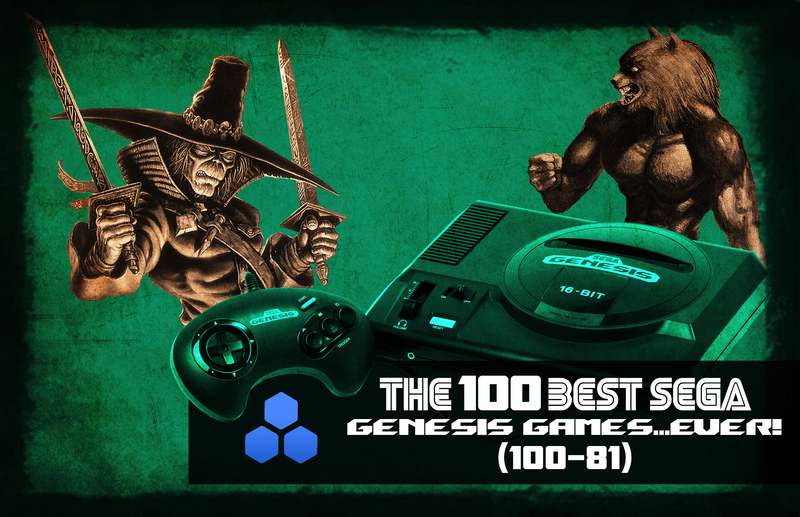 The 100 Best Sega Genesis Games…Ever (100-81)! A quarter-century ago, Sega made a power move that would define its legacy in the gaming industry—ushering in the 16-bit era with the Genesis aka Mega Drive. Granted the company’s previous console, the Master System, achieved moderate success in the states, the Hawaii-founded business still found itself playing second fiddle to Nintendo and its industry leading NES console. Looking towards the future, Sega not only created a game-changer that made all 8-bit machines look inferior, but also propelled the brand to mainstream success. Great hardware, solid graphics, and a variety of flagship titles that dominated most of the ‘90s gaming scene, the gaming community had much to be thankful for. So in celebration of the console’s 25th Anniversary on the US market, Evolve goes into nostalgic mode and ranks the 100 Best Sega Genesis Games…Ever! We’re kicking things off by running through 100 – 81. Stay tuned and see where your favorites land, as we’ll be counting down to the No. 1 spot throughout the week. Take two of the most popular film robots of the past century, pit them against each other, and you got the action gorefest known as Robocop vs. Terminator. Virgin’s platformer creates an original storyline that connects both franchises—suggesting the technology behind our favorite robotic cop is responsible for Skynet and the post-apocalyptic future. Keeping the trigger button down and collecting power-ups along the way was the only safe cause of action, increasing the stakes past each board. The beauty behind the Genesis version was the several cheat codes that presented tons of uncensored content like blood-filled explosions and Pamela Anderson-like baddies. It certainly pushed the boundaries on violence for a 16-bit cartridge. I am happy to see battletoads vs. Double dragon on the list.